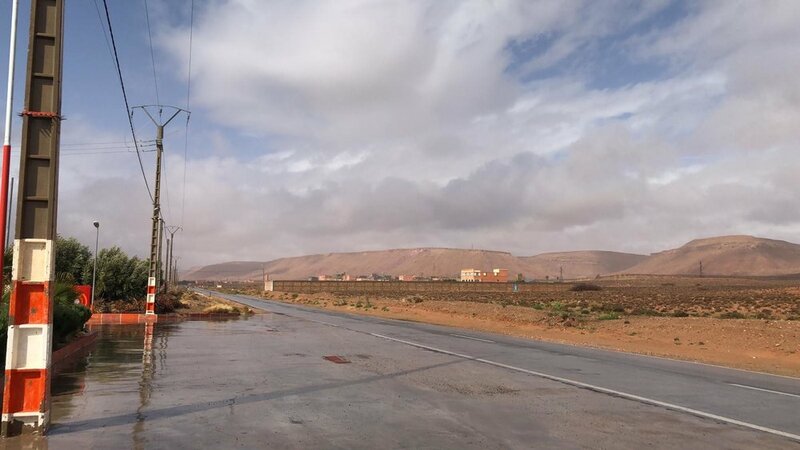 Spearfish have just successfully completed a job in the deserts of Morocco with a new client. 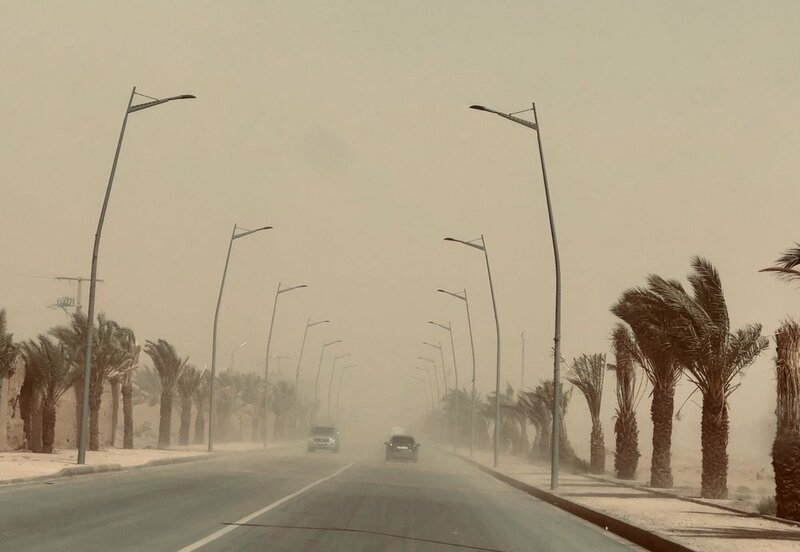 Our motto: “Operating in an uncertain world” was really rather on point during the Morocco job, considering the frequent sandstorms, vast openness and general terrain of the desert. 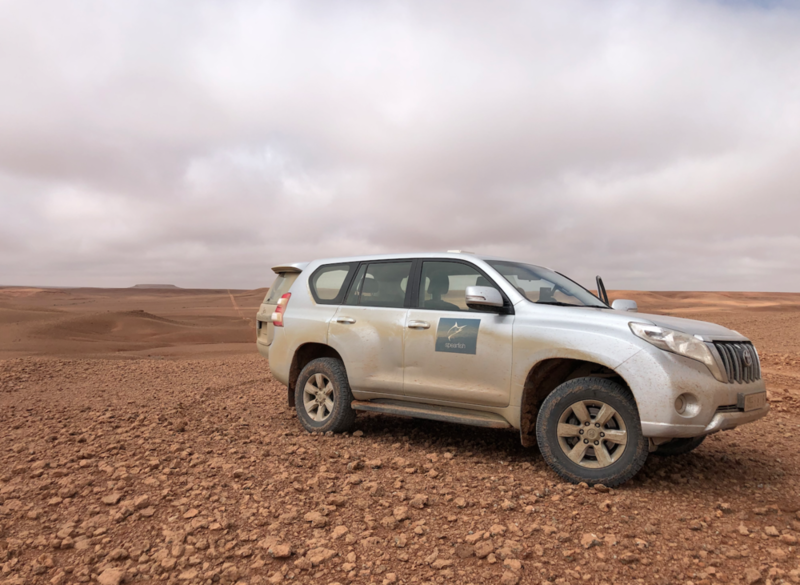 Dacia UK looked to Spearfish to support their journey to the far eastern edges of Morocco to watch a charity for injured/disabled veterans and ex-servicemen they sponsor called Future Terrain participate in a desert rally race not unlike the famous Dakar rally races. The support we provided focused on facilitating our clients need to achieve their objective of following the rally race participants with the least number of disruptions & obstacles possible. In addition to the Dacia UK team, we supported a camera crew & journalists from Auto Car magazine as they filmed, photographed and wrote about the race. This meant driving the majority of the actual rally stages to “get the shot”. 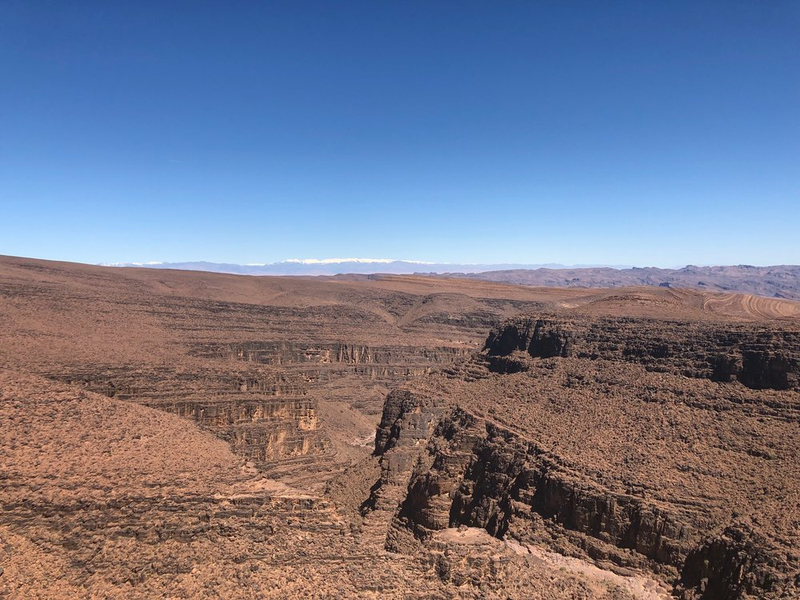 While Morocco is relatively easy & safe to travel in and through, it can still pose threats and risks, however there are very real and distinct challenges to the region that can certainly have a significant influence on travels. Not least being the terrain and vast distances to cross. 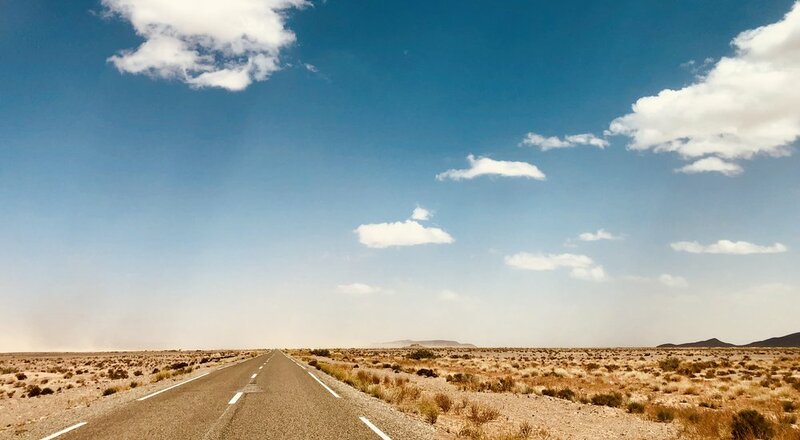 We covered roughly 2,500kms across all manner of terrain, travelling from Marrakech over the high Atlas Mountains through Ouarzazate to Boudenib, Merzouga, M’Hamid and a number of points in between and back and forth to Marrakech a couple of times. The Spearfish team managed & organised, drivers, hire cars, lodging and all other ancillary requests to providing a smooth as possible journey for our clients. 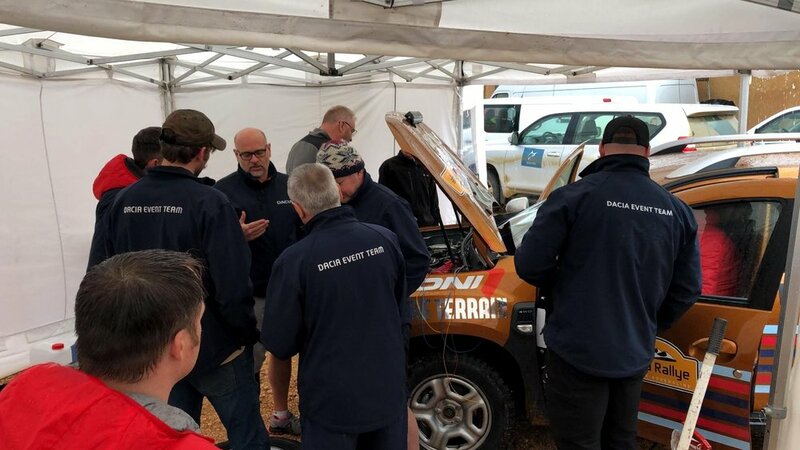 The end result being very positive feedback from the client Dacia UK, as well as Carta Rallye race organisers, the Future Terrain team and a desire within Spearfish to consider expanding our operations into more ventures like this. I’m writing above the cacophony of the busy roads, enjoying the hotel’s panoramic view of Beirut’s sprawling, and rapidly expanding, skyscape. The week has been busy, meeting with two client projects at opposite ends of the city. Country visits are crucial, allowing a personal understanding of the issues that local staff face and first-hand analysis of the security situation. It quickly became apparent that, although the situation at the time of visiting was largely calm, albeit potentially disturbed by the arrival of US Secretary of State Mike Pompeo on the final day, civil unrest can erupt rapidly. Its under such scenarios that a need for robust contingency plans, covering everything from a medical emergency, to a full evacuation out of country, was reinforced. Only in 2006, military action by Israel led to thousands of international visitors being evacuated by various embassies out of Beirut. 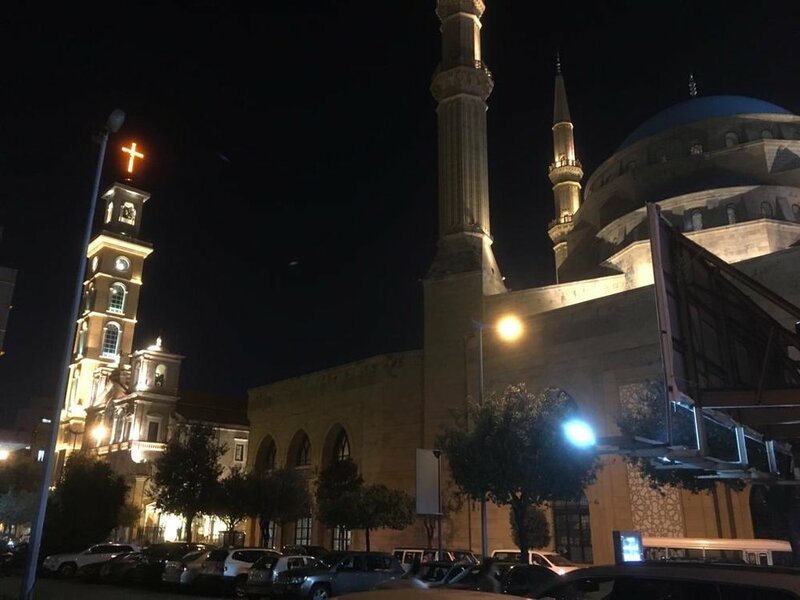 Aside from the looming prospect of civil unrest, Beirut as a whole has been extremely welcoming, with vibrant nightlight and excellent food. I experienced the ruthless competition between falafel shops; each claiming to be the city’s best, while enjoying the convenience of coffee shops which remain open until the early hours. I’ll be sad to leave. A busy few days visiting our client's key locations in East Africa. The focus this trip was Kenya, Mozambique and Ethiopia where the tempo of projects and also associated risks are picking up. As well as assessing the overall security situation and travel risks we also made time to review current procedures, office and accommodation location security. Through our Regional Security Advisor network and the project teams on the ground I was able to meet more great contacts who will be on hand to assist us in further extending our security network and aiding our clients. Overall, a very busy and successful trip fuelled in part with great coffee which the office is now enjoying. At the current rate of consumption it won't be long until I'll be required to travel again. Last week saw a Spearfish successfully running HEAT courses in the UK and and in the US . Our Head of Training ran our course in Hampshire with our newest member of the team Lorraine . Over in Washington DC we had Cath running a course of 13 in our onsite training venue which is based just over an hour outside of the capital. This month saw the launch of our new timetable. At spearfish we understand how important it is to keep modifying and updating our course material to suit the needs of people operating in high risk areas. We also had film crew down with us at our training site in the UK which we look forward to sharing with you soon. In the next couple of weeks we will be concentrating our HEAT courses in Abuja and , pending election outcome, Bauchi. 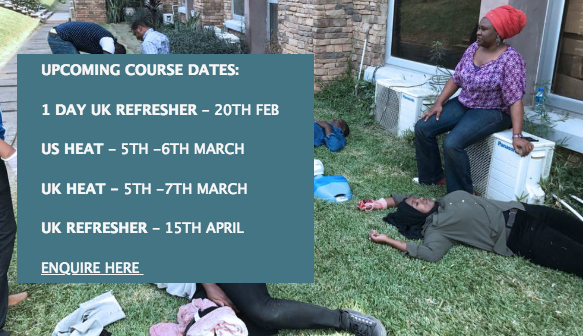 Our Spearfish West Africa team are putting these courses together , we will be using both our international training team as well as our in country training team to take on these upcoming courses. An interesting week! The last-minute postponement (0245am on the day) of the elections by the Chairman of INEC was met by some anger, much derision, but mostly with stoicism by the vast bulk of the Nigerian population. Many had travelled considerable distances to make their vote in their place of registration. The realisation that the voting dates had now been put back one week left many with the conundrum of whether to lose a week’s salary by staying put or accepting the additional cost of having to return a week hence. For our client, all offices had closed two days ahead of the vote and staff were working from home. The fact that the country had remained largely peaceful following the postponement announcement meant that everyone was able to return to work on Monday. However, the company’s risk mitigation measures have simply been re-cocked and I write this from my flat where I am hibernating until voting is over, the count is done and we are able to gauge the reaction to the voting outcome. At least last weekend was a useful practice of our communication measures with both WhatsApp and the bulk SMS keeping staff informed. The Government have said that they will not tinker with the Internet as it is critical to the nation’s critical security infrastructure. However, should insecurity bloom in the wake of the election, I am concerned that they may choose to switch off GSM networks. This would seriously hamper our communications as for many, the internet is only available via GSM. Whilst preparing for the worst we hope for the best. This includes hoping that England beats Wales tomorrow in the 6 Nations – despite tomorrow’s curfew I will be able to pop across the road to take advantage of the Serendip restaurant’s DSTV sports channel (kick off at 1745 local) and, of course, a refreshing bottle of Gulder lager! Have a good weekend everyone! Following close on the heels of our Senior Security Advisor, Darren’s visit the week before, I spent last week in Abuja with the team checking on our preparations for the forthcoming election period. 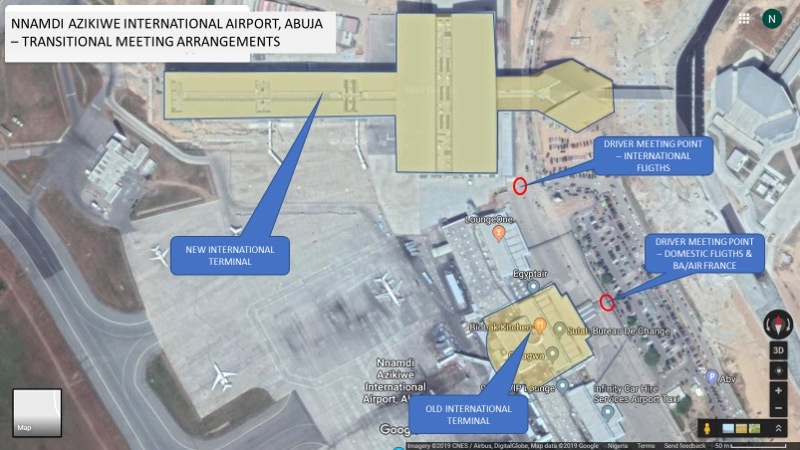 A strange air of uncertainty had descended on Nigeria, with no one quite sure as to how the next few weeks will play out. Would the voting pass off peacefully, or will a closely contested vote descend into a battle of lawlessness and instability? The truth is that no one really knows and that the best thing to do was to prepare for the worst and hope for the best. Our team in Abuja, Gombe and Bauchi have all spent the last two months busily ensuring that our clients (and our own) business continuity and evacuation plans have all been written but more importantly, adequately resourced. A policy of restricting travel plans, working from home and having robust contingency plans in place for civil unrest and medical emergency have formed our main mitigation strategies, achieving the fine balance of keeping people out of harm's way whilst allowing their businesses to operate to as near to normal as possible during the elections. 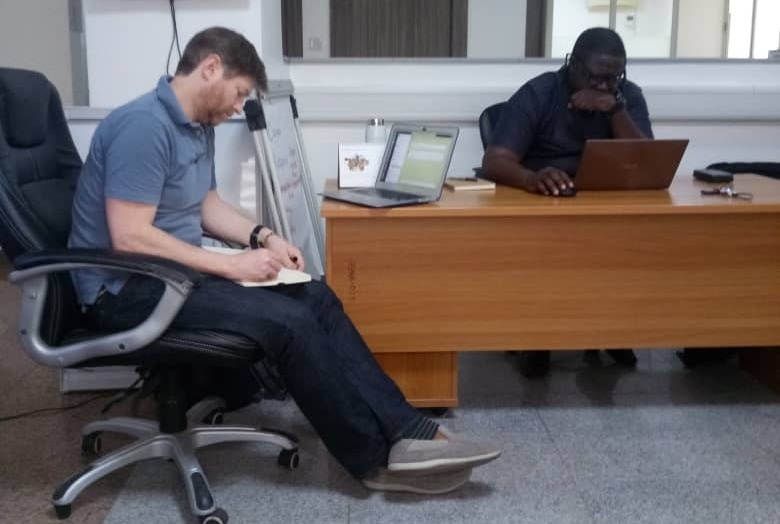 Our team in Abuja, Gombe and Bauchi have all spent the last two months busily ensuring that our clients (and our own) business continuity and evacuation plans have all been written but more importantly, adequately resourced. A policy of restricting travel plans, working from home and having robust contingency plans in place for civil unrest and medical emergency have formed our main mitigation strategies, achieving the fine balance of keeping people out of harm's way whilst allowing their businesses to operate to as near to normal as possible during the elections. For more information about the type of services we can provide please contact us or visit our website site spear-fish.com. We still have places for our upcoming 3 day UK HEAT course on the 5th -7th March. Have a look at our website or contact us on +441962 869 813 if you or your team are interested in attending. Darren Kelly, our Senior Security Advisor has been spending this week with our Spearfish West Africa Team. Good to be back in Abuja visiting the project teams. It's a wonderfully vibrant city with a lot going on and the people are so welcoming and friendly. A successful 4 days with the client in the run up to the elections in Nigeria. We've spent the time covering contingency planning, medical evacuation and relocation strategies for the various projects operating across the country. In addition we've reviewed journey management procedures and crisis planning. The teams have worked extremely hard and it's been a hugely worthwhile trip to ensure that everything is place and ready to go if required. Happy New Year from the offices in the UK and our Spearfish West Africa team based here in Abuja. The Nigerian National Elections are fast approaching and we understand this is the time when a company takes its duty of care to its employees extremely seriously. Our advisors are ready and able to assist with your contingency planning and can develop a bespoke plan to be able to respond to unforeseen and/or unplanned events that can impact operations and life whether it be at work or at home. We have a depth of knowledge and experience in providing crisis management and response training, business continuity planning and direct support to your country teams. Spearfish has been operating in Nigeria for the last five years and has a good understanding of the current situation country-wide. Our Abuja based team are able to work directly with you and your teams providing a tailored level of service and support. Below is a snapshot of the services we currently provide. All services are fee-based with the exception of our daily email alerts which we offer for free. Collated and distributed by SF members every day by 1100hrs. 2-3 lines outlining incident/event with hyperlink to original open-source report. Information is confirmed to be reported in at least 2 verifiable 3rd party sources. Produced in-house by Spearfish members & delivered every Friday AM. In-depth write-up on specific events/incidences that may produce a significant impact in country. Can be client AoR focused. Determine critical staff, procedures, etc. Who does What in the event of…. For more information about these services listed please get in touch directly Mat Schreader or Neal Peckham.